In this Edition of Unite Offshore, Your Future, In Your Hands, we highlight our campaign for a return to one rota across the industry. During our discussions with Unite members and offshore workers in 2018, the overwhelming feedback is that workers want to return to a fairer work rotation. Unite is now launching our campaign for ‘One Rota’. The evidence for ‘One Rota’ is clear. The study undertaken by the Robert Gordon University (RGU) shows first hand evidence of the issues that all offshore workers face when working 3&3. 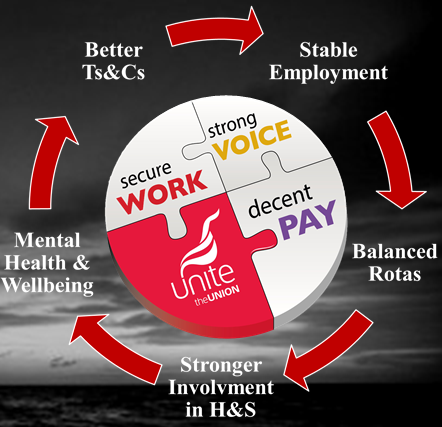 It is Unite’s position that a return to 2&3 rota with no detriment in pay, terms and conditions is the preferred choice of the majority of workers. We now launch our campaign amongst all offshore workers. In this Edition we outline what we are for and how campaigning for a 2&3 rota across the UK Oil & Gas Industry is a critical component in improving the quality of employment and work in the sector as a whole. 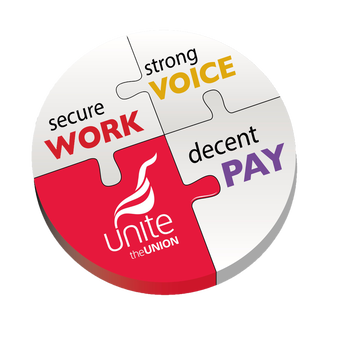 2019 will be a challenging year for all workers and Unite will firmly stand behind our offshore workforce and back you in fighting for better pay, terms and conditions.